FPT Industrial, a brand of CNH Industrial, showcased its Cursor 13 NG EVO Prototype during its Tech Day 2018 event on November 23. 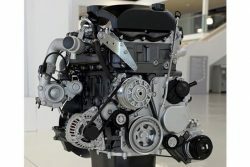 In doing so, it confirmed its commitment to environmental sustainability, one of the most important challenges that the powertrain industry must tackle, by seeking air quality improvement and the reduction of heavy­ duty vehicles’ impact on climate change. The new positive ignition NG engine can improve brake thermal efficiency, increase torque and rated power, and reduce greenhouse gas emissions, have all improved by 10% when compared to the NG baseline engine. During tests, the FPT Industrial engine reached a performance of 370 [email protected] 1,900 rpm and 2,200 Nm @ 1,000 rpm. The fuel consumption aIso proved to be well below the target of 200g/kWh in a large area of the engine’s operating map. Overall, the Cursor 13 NG EVO can reach an efficiency of 41%. Natural Gas is the most sustainable solution that is immediately viable and cost-effective.Gas engines have a competitive Total Cost of Ownership and low pump cost, while also delivering all the advantages of traditional thermal engines, including reliability. Natural Gas can also lead the industry to a green future, since methane can be generated as a renewable fuel by recycling organic waste, reducing C02 emissions nearly to zero. 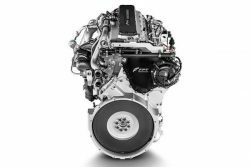 Launched in 2017, the Cursor 13 NG is the most powerful 100% Natural Gas engine available on the market, delivering maximum power of 338 kW (460 hp)@ 1900 rpm and maximum torque of 2000 [email protected] 1100 rpm. It is the first purely NG engine on the market specifically developed to guarantee the reliability necessary for long-haul missions. The engine’s C02 emission level is 9% lower than that of Diesel and can reach almost zero with biomethane. Cursor 13 NG allows a 98% Particulate Matter Reduction and 48% lower NOx emissions when compared to Euro VI Diesel engines. 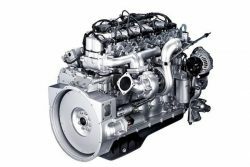 Moreover, the engine provides fuel cost savings of 30%-40% compared to the Cursor 460 hp Diesel engine for long haul applications. From the NEF family, the N60 NG is the most compact and efficient solution for buses, coaches and trucks from 6 to 18 tons. 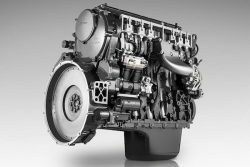 The 6-cylinder, 6-liter engine can reach maximum power of 150 kW (204 hp)@ 2700 rpm and maximum torque of 750 [email protected] 1400 rpm with any load, on any route.